The warmest baby glove in our collection with waterpoof membrane, super comfort and a wide zipper opening for easy entrance! A heating pocket positioned in between the insulation layers adds extra warmth. R-TEX® XT is a highly stretchable insert, developed by Reusch that adapts to the special needs of the hand. This highly functional membrane offers complete weather resistance and is guaranteed waterproof. R-TEX® XT is lightweight, comfortable to wear and provides unlimited ease of movement. PrimaLoft® Silver Insulation Boost is a fusion of 80% PrimaLoft® ultra-fine fibbers and 20% water-repellent down added right into the matrix of he insulation, engineered to deliver incredible lightweight warmth and wet weather performance in a luxuriously soft and remarkably slim silhouette for greater agility and freedom of movement, which ensures no water penetrates and maintains maximum heating capacity. Absolutely suitable gloves for very cold temperatures. Extra warmth is generated by high performing synthetic insulation materials. 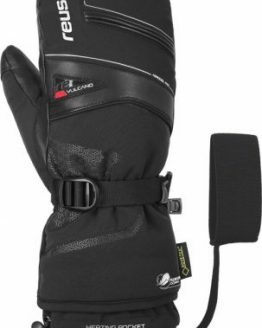 Based on a matter construction on the inside of the cuff, the patent pending Heat Trap™ stores the warmth and comfort on the inside of the gloves while at the same time building an impassable barrier for snow, wind and cold. 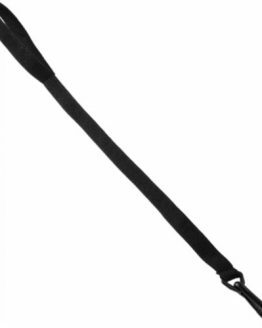 Being connected to the storm leash, the Heat Trap™ easily closes within an instant when pulling the leash. To loosen the gaiter, simply release the leash and quickly get your hand back into the glove.